Nordic Business Forum received the 2015 Business Event of the Year award in the Evento Awards. Evento Awards is a competition which gives recognition to Finnish event industry operators in 11 categories. This year Nordic Business Forum entered the awards with Nordic Business Forum 2015 seminar in the business event category. As a result, Nordic Business Forum 2015 was awarded the Business Event of the Year award. The competing entries were evaluated by a jury based on the following criteria: setting the goal, written material, the concept and its originality, realization, innovation, and creativity, and how did the goal, its realization, and results come together. 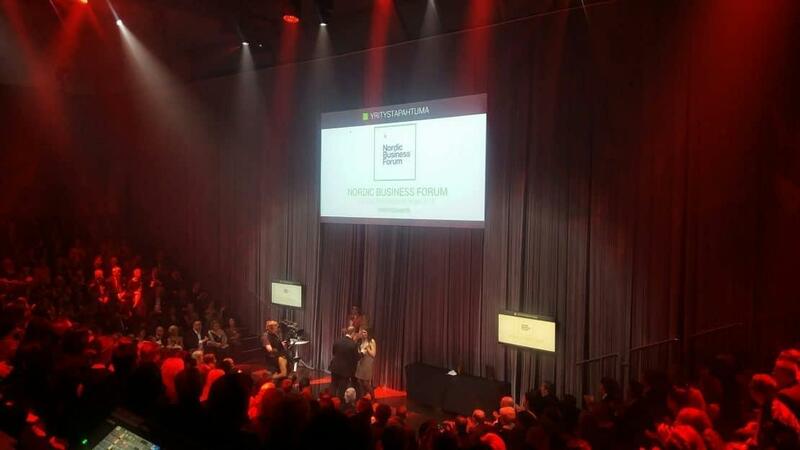 In addition to receiving the Business Event of the Year award, Nordic Business Forum also received an honorary award for receiving the highest scores from the jury throughout the whole competition. The whole Nordic Business Forum team is grateful for this recognition. We are doing our thing with a big heart and we are very honored to have received this kind of support.